In some evangelical circles, “sacramental theology” attracts a growing attention and, in a few cases, makes converts to Roman Catholicism. For many of those coming out of a neo-fundamentalist mindset, focused on battles for objective truth and the certainty of belief, and often fighting secondary battles, some evangelical theology finds in the present-day Catholic discourse on “mystery” a nuanced and intriguing attraction. Two books by Hans Boersma, Nouvelle Théologie and Sacramental Ontology: A Return to Mystery (Oxford: Oxford University Press, 2009) and Heavenly Participation: The Weaving of the Sacramental Tapestry (Grand Rapids: Eerdmans, 2011), testify to the fascination some contemporary protestant theologians have for the categories of “sacrament” and “mystery.” These groupings were relaunched by the nouvelle théologie (new theology), a stream of Catholic thought (mainly French) that developed in the first half of the twentieth century. This strain of theology was highly influential at the Second Vatican Council and afterward. These two volumes, the work of a professor at Regent College in Vancouver, Canada, form basically the same work: the first is the editio maior (expanded version) and the second is the editio minor (condensed version). In the first volume, Boersma shows how, at the end of the 19thcentury, under the influence of the Enlightenment that had broken the relationship between faith and life, Catholic theology built a theological-philosophical system that, in order to fight against the Enlightenment, ended up assimilating its plausibility structures. The Neo-Thomism that was carved into the encyclical Aeterni Patris of Leo XIII (1879) was a rational, sophisticated, intellectualist apparatus that lost sight of the “mystery” of faith expressed in the liturgy and the sacraments. The nouvelle théologie is a reaction to this drying up of faith through the rediscovery of a sacramental ontology that “opens” the eyes of faith to the world (M. Blondel, J. Maréchal, P. Rousselot), makes fluid the distinction between the natural and the supernatural (H. De Lubac and H. Bouillard), insists on the category of incarnation and human “participation” in the incarnation (H.U. von Balthasar and M.-D. Chenu), rediscovers the “spiritual” interpretation of Scripture and tradition (J. Daniélou and H. De Lubac), and invests a great deal on ecclesiology in sacramental terms (H. De Lubac and Y. Congar). In short, it proposes a re-appropriation of the pre-modern heritage of the Christian faith as a way to appreciate afresh its Roman Catholicity. Everything revolves around the category of ressourcement: return, re-appropriation, re-assimilation of the tradition and, by extension, of the “mystery”. Boersma maintains that the Protestant Reformation has also been a movement of ressourcement, above all of the Word of God. However, because of its unresolved sacramentalogy and its dependence on Nominalism, the Reformation has lost sight of the ontology of the sacrament and has been instead absorbed into other accounts of reality (reason, feeling, “relevance”). His attempt, then, is to build a bridge between the rediscoveries made by the “new theology” and evangelical theology so that the sacramental ontology becomes an essential part of the latter. By sacramental ontology, Boersma means “the conviction that historical realities of the created order served as divinely ordained, sacramental means leading to eternal divine mysteries” (289). To achieve this aim, he suggests an embrace of the category of “mystery”, to discover the dynamic unity between Scripture and tradition, to value the Eucharist as a sign of communion and the summit of ecclesial life, and to rethink the distinction between what is natural and what is supernatural in order to appreciate their substantial continuity. If the first volume’s focus is historical, in the second volume the author opens up the implications of this immersion for evangelical theology. For him, it is a matter of rediscovering the “sacramental tapestry” of the created and redeemed reality. All the evangelical insistence on “propositional” truth should be tempered by the appreciation of a theology that is narrated, imagined, and symbolized, in search of deeper spiritual levels of meaning that go beyond the historical and literal sense and that are embodied in the sacraments. All the evangelical insistence on the “forensic” meaning of justification should be replaced by the experience of salvation as “participation” in divine realities. The sacramental mentality is imbued with real “participation”. Hence the title that indicates in “heavenly participation” the horizon of the Christian faith. Boersma frequently uses the reference to “participation” without showing sufficient awareness of the implications of such use by Roman Catholic theology. In it, participation is used to dilute the understanding of Christ’s incarnation through its prolongation in the church, expanding the time of Christ’s revelation to that of the ecclesial tradition that supplements it, extending the presence of Christ in the Lord’s Supper to the “real presence” of the Eucharist, widening the work of salvation so as to include the human contribution to it, expanding Christology to make room for the claims of Mariology, etc. 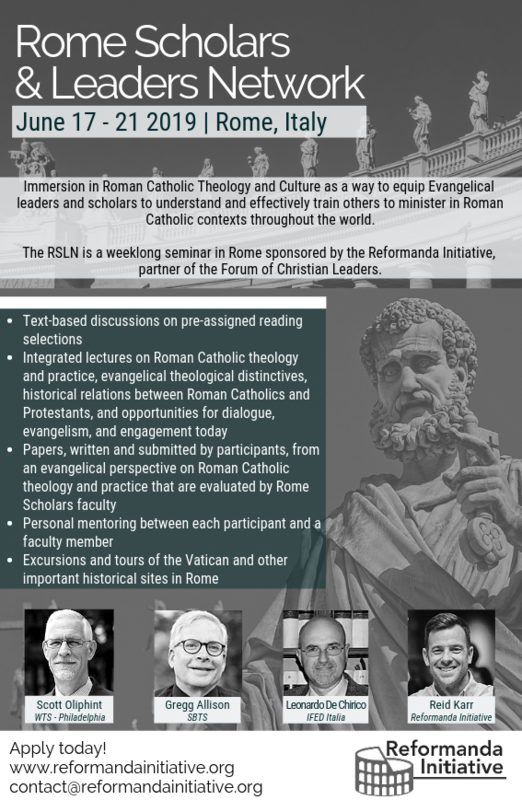 “Participation”, if not biblically defined and theologically understood, is the instrument through which theology becomes Roman Catholic theology. After all, for Boersma what is at stake is to rebuild the synthesis between Platonism and Christianity that, well before the Protestant Reformation, was torn apart and replaced by the nominalist synthesis between Aristotelianism and Christianity. According to this view, the synthesis between Plato and the Gospel is the highest point of human thought. Is it really? At this point, the author considers the Reformation to be a “tearing” of the one Church. However, was the church truly united before Luther? The Reformers did not separate from the church but gave the church a chance to rediscover the biblical gospel. Boersma’s view of the Reformation being the “tearing” of the one Church is historically simplistic and theologically reductionistic. Dialoguing with Carl Raschke (The Next Reformation), Boersma hopes for a “forthcoming” and future Reformation that, away from the logic of Scripture Alone, Faith Alone, and Christ Alone, will embrace the “great tradition” that unites all Christians and that is centered on the “catholic” emphases of the Eucharist, tradition, and the sacraments. 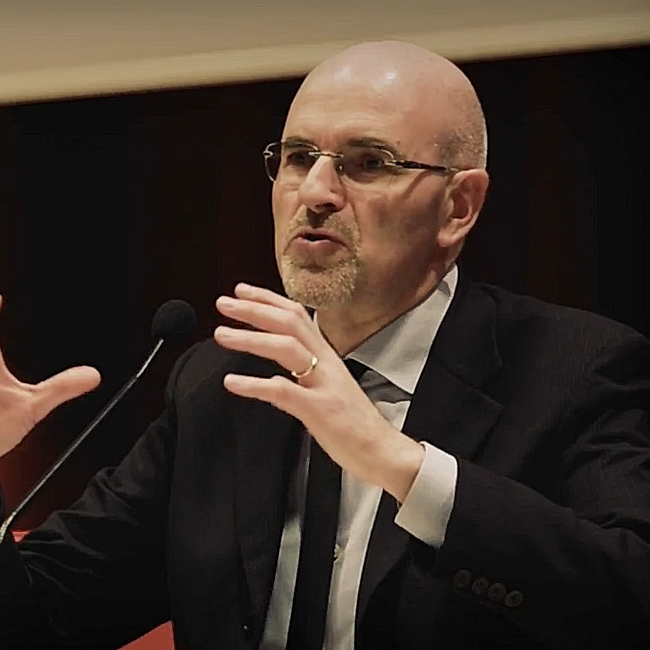 According to Boersma, the nouvelle théologie is the medicine that can heal the divisions between Catholics and evangelicals (190) by making the Catholics more evangelical and the Evangelicals more Roman Catholic. He seems to have a very idealized view of what Tradition and traditions are for Roman Catholicism. Has he ever visited a Catholic sanctuary or a Marian shrine or any religious festival? Is not his reading of Roman Catholicism based on the acquaintance of some enlightened theologian, rather than in real Catholic life? Indeed, the “new theology” that Boersma wants to graft onto evangelical theology did not challenge the Catholic dogmas based on tradition rather than Scripture, did not change the traditional practices based on popular piety rather than Scripture, and did not modify the imperial structure of the Church based on tradition rather than Scripture. How can one be so optimistic about what the “new theology” can do if it has reinforced the Catholic system, rather than challenging it? It is evident that the author has felt its charming message and attraction to the point that his critical reading and overall analysis have lost their evangelical spine. Once the supreme authority of Scripture is fudged and justification by faith alone is blurred, is this theology still evangelical? These books are a testimony of how theology can reach high levels of scholarship and sophistication without developing an adequate awareness of the issues debated. 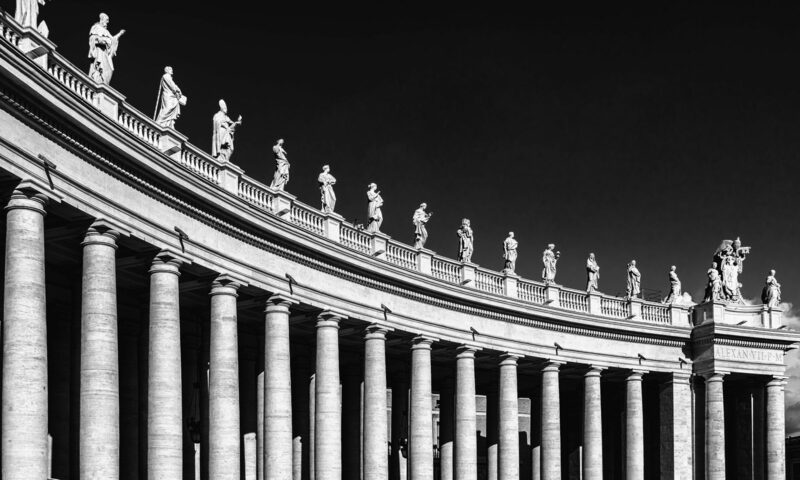 Alongside intelligent and timely observations, there are dangerous slips reflecting a theological naiveté when it comes to understanding the reality of Roman Catholicism as a whole. The risk is that these sacramental accounts of theology fuel superficial ecumenical views without understanding what is at stake. The sacramental theology of present-day Roman Catholicism is the “heart” of Catholicism itself. One can understand how it can attract some evangelical circles that have not developed a biblically rich and historically aware theological imagination. Instead of the re-appropriation of the “great tradition” of the classical Christian faith (biblical, patristic, protestant, awakened, evangelical), they are fascinated with the version that is the core of the Roman Catholic synthesis. Is this the “next Reformation” they long for?